Power – they have 1600 lumens so Philips Hue Light Strips they are quite powerful when it comes to making light. These are the most important aspects when it comes to Philips Hue Light Strip, the only big downside is the fact that they can be quite expensive and not fit every budget. 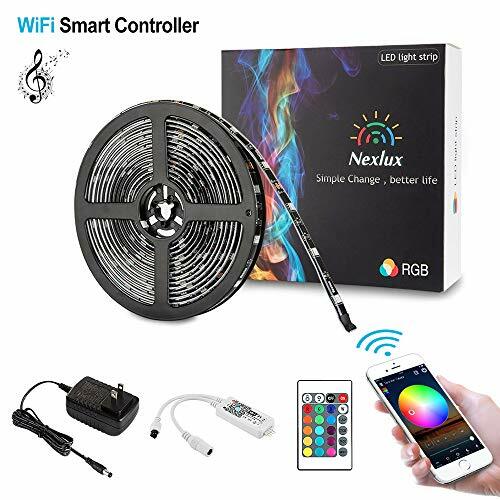 Smart Light Strips can be used in your house to make a more pleasant atmosphere, with the help of the 16 million colors which can be configured in any way you can have a nice light display. Also some of them they are waterproof and can be used also outside in your garden to give an interesting and modern look. 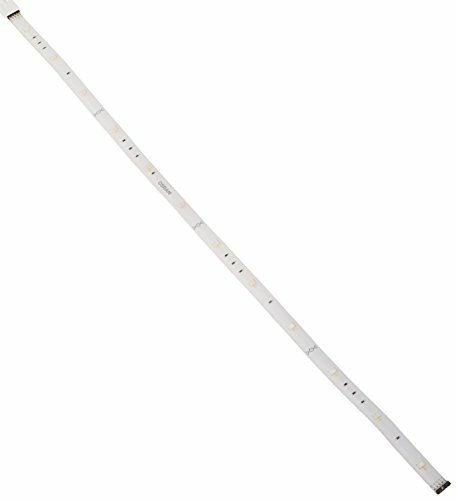 Lately on the market started to pop up various smart LED Light Strips that can be a good alternative to what Philips has to offer. Next, we will see the best Philips Hue Light Strips alternatives that currently exist and see how they are doing in matching all function that Philips has. 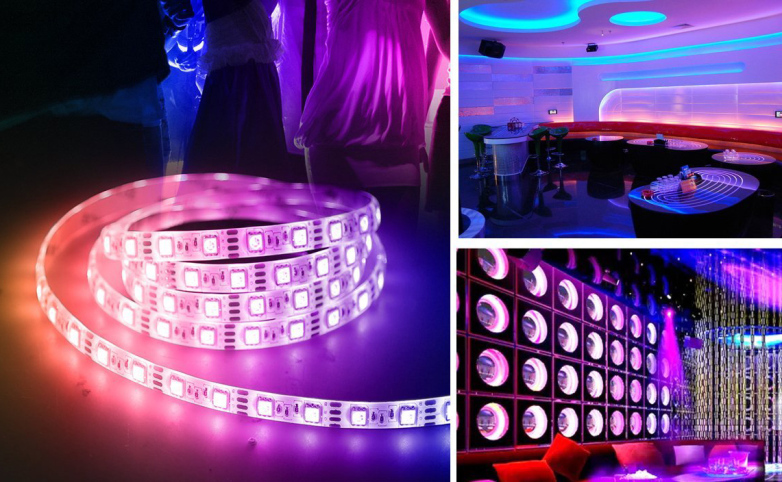 Nexlux strip lights are one of the best alternatives that you can have on the market. They are coming at a very competitive price and they can be controlled with Alexa or Google Home. You can control the light color, intensity, and set up custom flash, strobe, fade colors, and flash to sound/music played from the phone, tablet. ZigBee hub is required in order to control SYLVANIA. Once it is hucked up to ZigBee it can be controlled with Google Home and Alexa. Starter kit nets you three two-foot LED strips (six feet in total) that you can adhere and mold into all kinds of shapes. Over 16 million colors and different tones of white light, dimming and brightness controls. They can be controlled by Phone or with Alexa or Google Home. 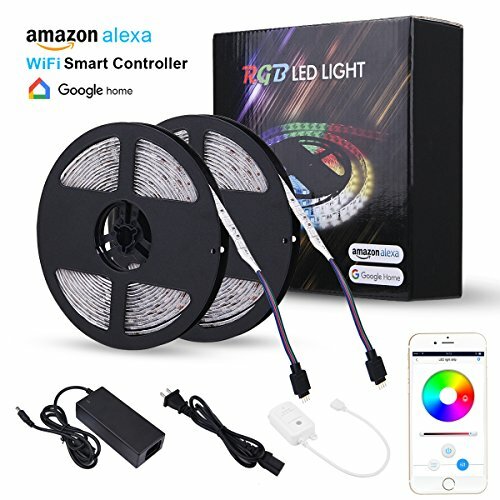 They can be a good alternative to Philips Hue Light Strips as they are cheaper. 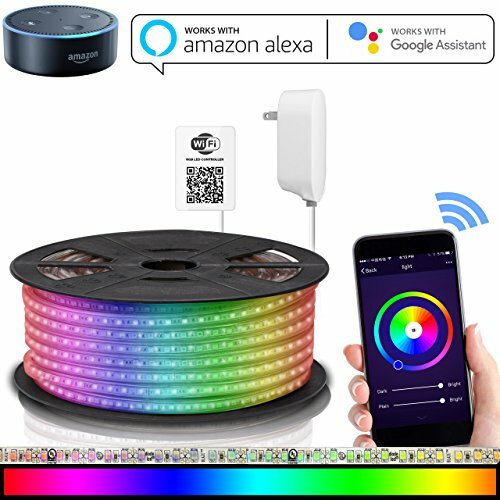 YEELIGHT it is offering the possibility to control it thru Alexa and Google Home and it has 16 million colors. Unfortunately, it is not very long and only has 6.5FT. The brightness of these is amazing as is the colors and contrast. These are some of the best alternatives to Philips Hue Light Strips that currently exists. Most of them have the basic features that Philps has except the music sync which none of them is having. In case you need a basic light strip that can be controlled with your voice and app then you can check some of them. READ Best Sleep Monitoring/Tracking Devices. 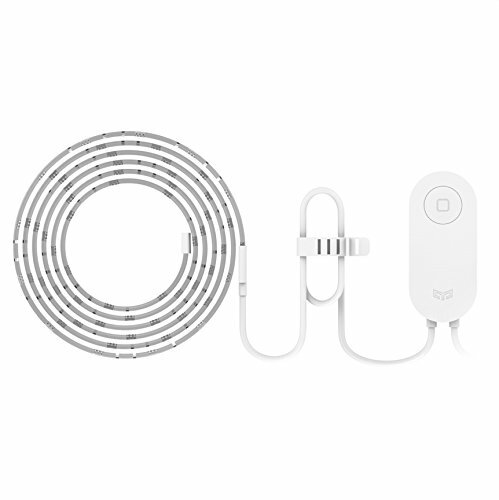 In case you need the light strip to sync with your music then Philips Hue Light Strip is the one for you. In case you know better alternatives don’t hesitate to let a comment below! Below you have accessories that works with Alexa. Best 11-inch iPad Pro 2018 Keyboard Cases.